Rosie Jewell grew up in rural southwest England, known for its green fields and ubiquitous drizzle. While studying toward her Spanish degree at the University of Cambridge she found herself drawn to literature and film about sociopolitical issues, shaping a strong sense of duty to work in nonprofit. Before joining the Calley Foundation, Rosie worked for a year as a translator in Spain and on behalf of the Cambridgeshire Community Foundation. Having moved to Los Angeles in March, she is keen to get stuck into Angeleno culture while also helping to foster a fairer society with more opportunities for disadvantaged people. Her first project at the Calley Foundation will be to design and lead a knitting workshop that will bring together seniors and LGBT youth in a supportive and creative environment. Her hobbies include painting, long-distance running, and learning to code. A Los Angeles native, Ciro Benitez is an upcoming Junior at University Senior High School. Ciro is an aspiring filmmaker, motivated by hands-on learning of all facets of film. To that end, he's spearheading a summer program in which participants in learn how to make latex puppets for use in stop-motion animation! In May 2017, Ciro graduated from Ghetto Film School - Los Angeles, a 30-month-long program designed to educate, develop, and celebrate the next generation of great American storytellers. Beyond his internship with the Calley Foundation, Ciro is completing his first feature length script. In his spare time he loves to run, watch movies and TV shows, read books, and listen to horror stories. Q Bannister* was raised in Colorado and spent their elementary years on the Southern Ute Indian Reservation, where they gained a great deal of respect for indigenous culture and the planet. Q then attended Columbine High School, reminding them of the importance of not taking any day in life for granted. After graduation, they initially studied engineering at community college, but soon switched majors after discovering a passion for film. 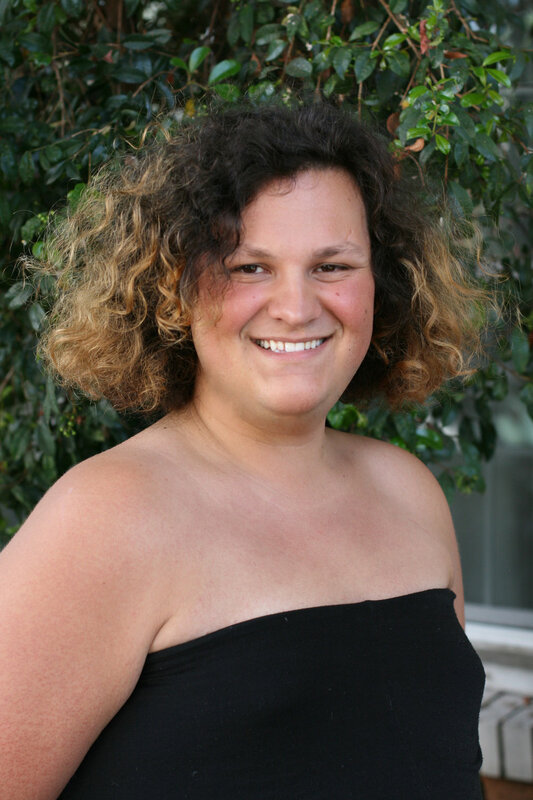 After coming out as trans part-way through college, Q’s relationship with family became strained; they left Colorado and came to Los Angeles in January 2017. After experiencing homelessness for several months, Q regained traction at the Los Angeles LGBT Center. Q found stable housing through the Center’s Transitional Living Program and was recently elected to the Center’s Youth Ambassador Coalition to represent and serve other LGBT youth in Los Angeles County. Over the last few weeks, Q began taking courses in a film intensive with the intent to return to school this year to finish their degree. When Q has a free moment, they enjoy having coffee with friends, attending seminars, and listening to podcasts and the news. Q also has a strong interest in politics: impressively, the Colorado community elected Q to serve as a delegate at the 2016 Democratic National Convention! *Q uses “they/their/them” as preferred pronouns. Originally from Sacramento, Vivienne Pierce* has experienced a full tour of California - from San Francisco to Los Angeles and many places in between. After experiencing homelessness firsthand, they found support from LGBTQIA non-profit organizations, including the Center of Long Beach and the Los Angeles LGBT Center. As former chairperson of the Youth Ambassador’s Coalition of the Los Angeles LGBT Center, they have become a voice for the homeless youth of Los Angeles. By working with County officials, holding workshops and educational events on being both queer and homeless, and attending state and nationwide conferences alongside other youth, Vivienne hopes to make our world a safer place for youth to grow. For the past two years, Vivienne has focused energy on encouraging others to express themselves in new, artistic ways. In their spare time, Vivienne likes to read, write poetry, listen to and make music, play their saxophone, learn coding and foreign languages, hone their engineering skills, rollerblade, and creatively build. *Vivienne uses “they/their/them” as preferred pronouns.